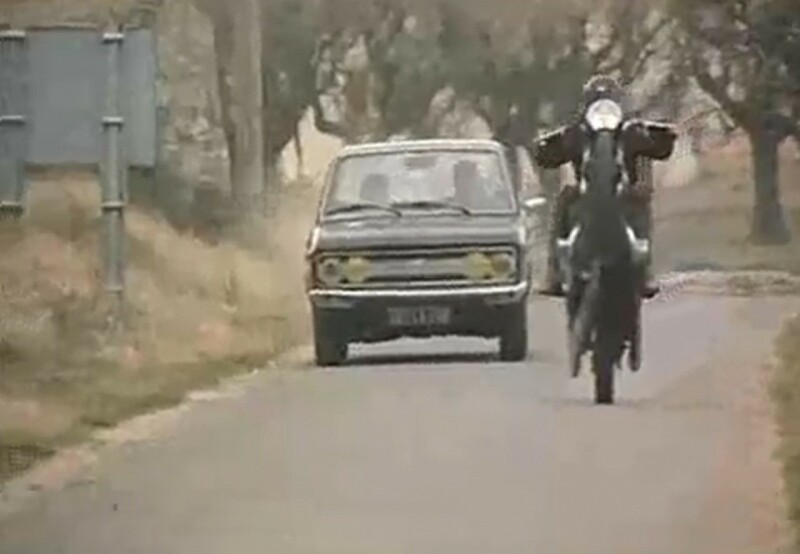 Directed by : Gérard Pirès. Produced by : Alain Poiré, Pierre Braunberger. 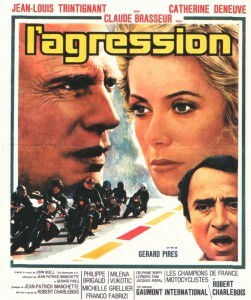 Screenplay by : Jean-Patrick Manchette, Gérard Pirès. Editing : Jacques Witta. Photography : Silvano Ippoliti. Music by : Robert Charlebois. With : Jean-Louis Trintignant, Catherine Deneuve, Claude Brasseur. 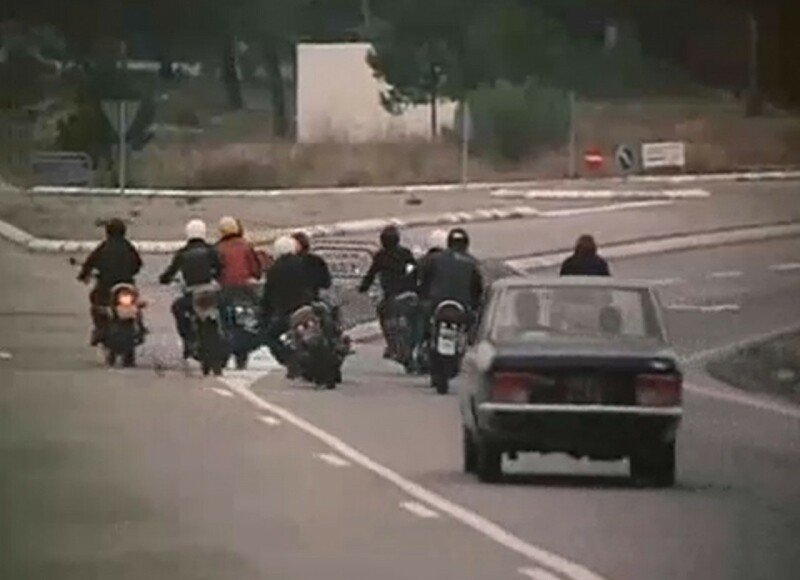 On the road to vacations with his wife and son, Paul is chased by a gang of bikers. The car ends in a ditch. When Paul regains consciousness, the gang has killed his family and raped his wife. He decides to go on the road to get revenge. In the great Italian tradition, here’s Gérard Pirès’s take on B movie. 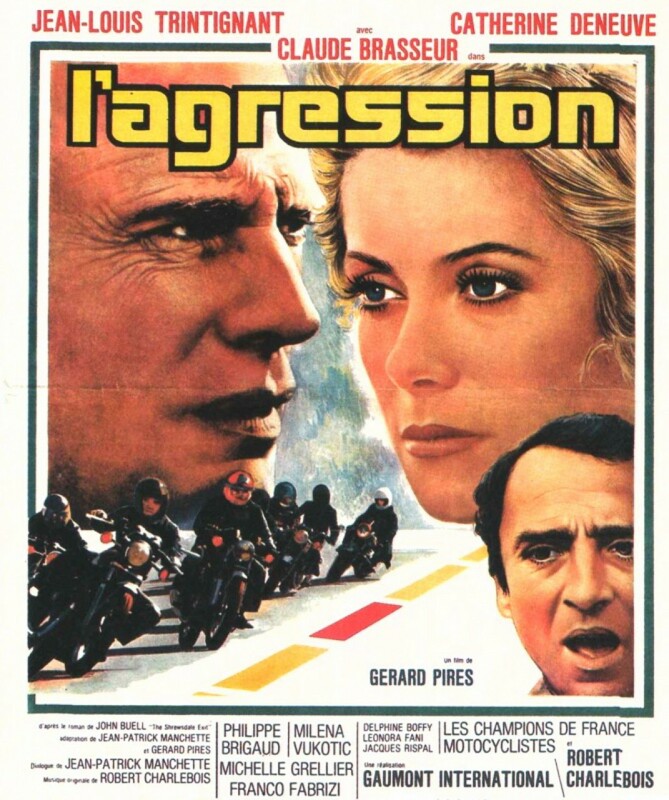 Jean-Louis Trintignant, an ephemeral widow, takes a shotgun and goes to the pursuit of a gang of bikers (among which… Robert Charlebois). On his way, he encounters an extremist played by Claude Brasseur and most of all an overacting Catherine Deneuve. The script was penned by Manchette.